Welcome to Kokopelli’s Chocolate, where we craft fresh, exquisite chocolates in bright flavours, all made by hand. While we believe that chocolate should always be fun, there are a few things at Kokopelli’s that we do take seriously. To make the very best chocolates, you must start with the very best ingredients. This is why Kokopelli’s uses Valrhona couverture, one of the highest quality couvertures in the world. Couverture is a high quality type of chocolate used by chocolatiers and pâtissiers (it means ‘coating’ in French), containing extra cocoa butter, making it perfect for moulding and dipping. Valrhona is a French chocolate maker, founded in 1922 by a pastry chef from the Rhône Valley. They make some of the very best chocolate in the world, sourcing the finest beans from around the globe to make a range of different chocolates, each one with its own unique and captivating flavour and aroma characteristics. We are committed to using fresh, natural ingredients in all our chocolates, including fresh cream, butter, and often fresh fruit and herbs. We categorically do not use unnatural preservatives, as this would be to the detriment of taste, texture and flavour, not to mention the spirit of fresh chocolates. This does mean that our chocolates have a much shorter shelf-life than your average mass-produced chocolates of two weeks, but this is a small price to pay for freshness and quality. We firmly believe in making chocolates designed to be eaten as soon as possible after they have been made. Each and every chocolate, bonbon, truffle and caramel is made by us, by hand. We don’t use machines to do the time-consuming processes for us, and so quality control is naturally built into our production. We use Valrhona chocolate not only for its exceptional flavours and silky texture, but also for its ethical trade commitment. This includes fixed prices, guaranteed volume and steady income for cocoa farmers, as well as valuable long-term relationships with farmers. These direct relationships ensure sustainability, purity and quality. We also use UK suppliers for our ingredients and packaging, limiting the number of unnecessary travel miles and supporting our local economy. We recycle materials wherever possible, including packaging materials, and all food waste is composted. 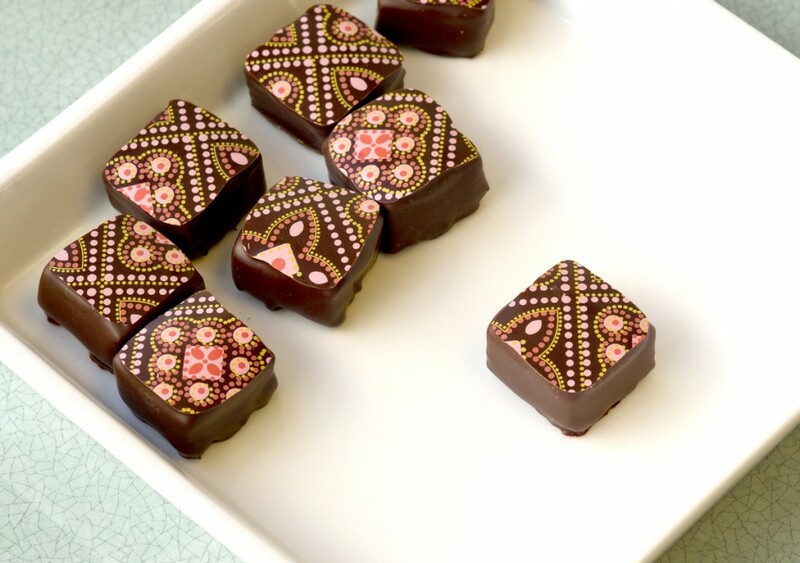 To find out more about Kokopelli’s, including how and why we got started making delectable chocolates, click here.